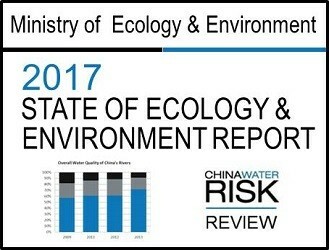 Haven't been following China's environment & water-related policies? Get on top of them here! Economic issues topped China’s recent Two Sessions given its slowing economy, but despite this China’s march towards a Beautiful China appears unhindered. In the latest government budget for 2019, spending in water and soil pollution will increase by a strong 45.3% and 42.9%, reaching RMB30 billion and RMB5 billion respectively. Spending on air pollution on the other hand will go up 25% to RMB25 billion. 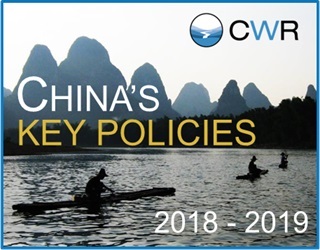 Now, as China looks to forge ahead, it is a good time to look back at how it has reinforced its water-related policy landscape in the past year. Below, we have summarised all the key policies into five categories: 1. Water; 2. Pollution; 3. Regional; 4. Industry & Tech; and 5. Energy. China is determined to further improve its pricing mechanism to stimulate environmental protection and green development. For water use, the government aims for a new pricing mechanism that encourages better quality and more conservation to ensure sustainable use of water resources. Other new targets include all the cities to finish the campaign of environmental protection by 2019, and to accelerate the performance in the war on urban black and smelly water bodies. For key cities, black and smelly water cleaning rate should be over 90% by the end of 2018, while for other cities by end of 2020. Of the many pollution focused polices released over the last year, the most significant one is the new “Soil Pollution Prevention & Control Law”. 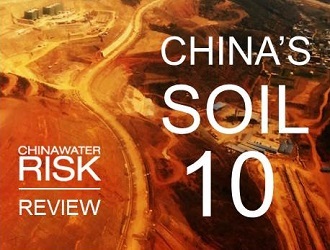 This is the China’s first dedicated law on soil protection, which builds upon the “Soil Ten Plan” issued in May 2016. Together with previously revised pollution prevention & control laws on air (2015) and water (2017), it again shows that China has escalated its fight against pollution through legislation. Two other major pollution related development plans were released in June and July 2018 to strengthen the protection of China’s ecological environment. These plans include setting out various targets to achieve a “Beautiful China” by 2035 and establishing the strictest legal system to fight the war on pollution holistically. 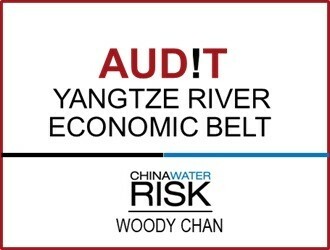 Like previous years, the Yangtze River remained a key target region for China’s regional water related policies in 2018. A comprehensive action plan for Yangtze protection and rehabilitation was released in December last year. Among other key points, the plan set out 1) details of delimitation of ecological protection red lines along the Yangtze, 2) controlling industrial and agricultural pollution, and 3) improving investment and compensation schemes. This year, the Bohai river also became a priority target for water pollution protection and rehabilitation. A quota system for pollution discharge in Bohai will be gradually established. 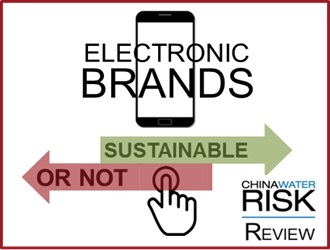 To win its War on Pollution, industrial water pollution has to be controlled and the IT and communications sectors were especially targeted in the past year. For the communications industry, China released a three-year action plan to reduce water use per VAI by 23% compared to 2015, and to increase water use efficiency and corresponding water use standards. Moreover, an action plan to promote the green development of lead acid batteries was also put in place. More widely, China issued a development plan to accelerate the industrial green development in its core economic regions such as Jingjinji, Yangtze River Economic Belt, and Pearl River Delta. Later in December 2018, China further revised and consolidated the appraisal indicator system of clean production for 14 sectors. 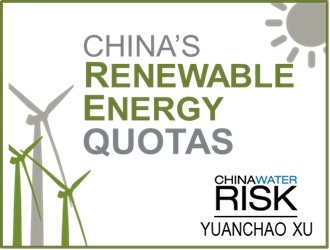 China’s first renewable energy quota finally come into fruition with the National Energy Administration (NEA)’s consultation on “Renewable Energy Power Quotas and Assessment Methods”. We have explored the new quotas and Renewable Energy Certificates here. Also, earlier this year, China’s top planning organisation revealed new solar and wind policies for subsidy-free projects. China will start building pilot wind and solar power projects that won’t receive national government subsidy as it pushes to improve the competitiveness of renewable energy and rein in subsidy bills.